Kaā‘anapali Beach Hotel in Hawai'i. Take advantage of Kā‘anapali Beach Hotel's stand up paddle lessons. Relax and unwind at Hawaii’s “Most Hawaiian Hotel”, on world-famous Kaā‘anapali Beach. 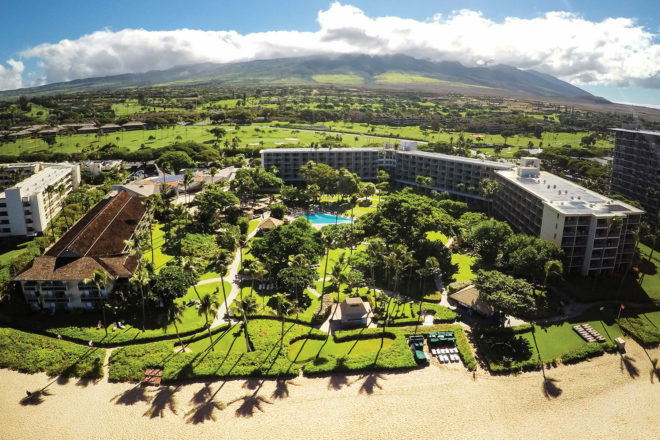 Officially recognised as Hawaii’s “Most Hawaiian Hotel”, Kā‘anapali Beach Hotel is nestled on 11 stunning acres of tropical gardens fronting world-famous Kā‘anapali Beach. But it’s not just the scenery that helps you experience aloha at its best. Guests can enjoy daily cultural classes including local language immersion – and of course hula and ukulele lessons! Kids up to 17 years old stay free! As a romantic and enchanting welcome to Hawaii, Kā‘anapali Beach Hotel makes for a perfect getaway for couples (or if you do happen to be travelling as a family, best of all kids up to 17 years of age stay for free). 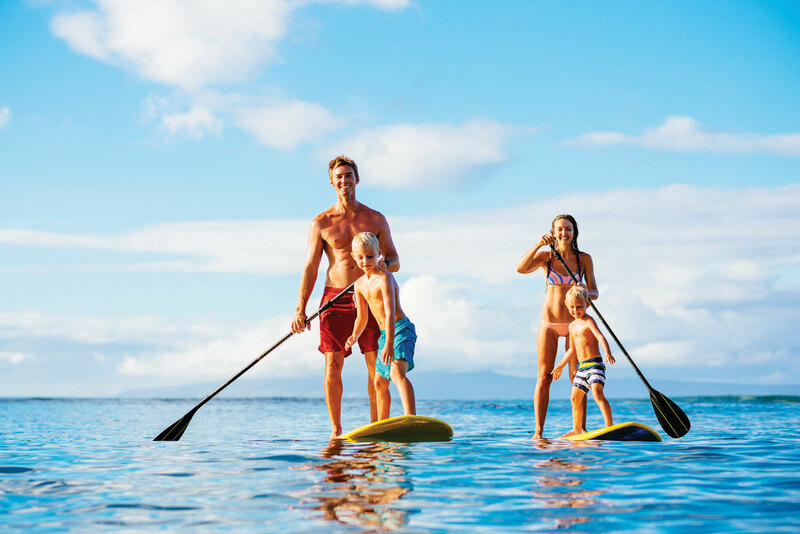 Take advantage of Kā‘anapali Beach Hotel’s stand up paddle lessons. In fact your welcome begins from the moment you step through the door, as the friendly staff welcomes you with Aloha upon arrival – a warming gesture that’s matched only by the traditional lei kukui ceremony performed upon your departure. Through inclusive activities, art and artefacts – such as canoes, hales, pahu drums and taro patches – the hotel surroundings provide a relaxing and beguiling Hawaiian atmosphere. Adding to the authentic Hawaiian experience is the addition of a Hale Huaka‘i, Ocean Activities Beach Shack. Here guests are offered everything from cultural activities to Stand Up Paddle lessons, but from a Hawaiian Beach Boy perspective. It’s not only about the activities; it’s about the interaction of the staff with guests to provide a very authentic presentation of water sports and ocean-side living in Hawaii. You can start your adventure with lessons, rentals, cabana service, or book your favourite Maui activity to explore the wider surrounds at your leisure. Food lovers will be amazed by the quality of the Hawaiian regional cuisine prepared by award-winning Chef Tom Muromoto in the hotel’s Tiki Terrace Restaurant. For light meals, opt for the poolside Tiki Bar, Tiki Grill and GrabNGo for all great food choices – and don’t forget the Tiki Terrace Restaurant is also home to Kā‘anapali Beach Hotel’s famous Sunday Champagne Brunch. With beachfront Family Suites that sleep five and a free year-round “Aloha Passport for Kids” programme, Kā‘anapali Beach Hotel provides a family-friendly, value-packed experience you won’t soon forget.